AL Todd is a Philadelphia based freelance photographer and digital graphic artist. 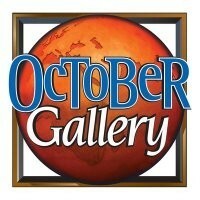 Most of his work is done exclusively for October Gallery. AL’s true love, which began as a hobby, is fine art photography. He acknowledges that photography is an art form in and of itself. His methodology behind the camera is essentially the same as an artist approach to the canvas. He produces works of art inspired by the people, places and moments in time he has experienced.